Home » Home Loan » Real estate » How could Lenders Cut Costs on Home Loans? How could Lenders Cut Costs on Home Loans? A housing industry slump could effectively bring down home prices. If the property market is weak, it could be the best time to buy. A buyer’s market could even be a very ideal time to apply for and obtain home loans. When interest rates are so low, who could resist the urge to purchase a new house? However, anyone could easily be held back by the rising costs that come with home loans. The closing costs make up most of such home loan expenses. Lenders normally charge fees for all services that are required for processing and completing mortgage applications. Unfortunately, such costs are usually passed on to consumers/borrowers. There could be many other services that could possibly raise home loan closing costs. Thus, such fees may account for a combined 3% to 7% of overall home loan amount. If you would obtain a $400,000 home loan, be prepared to pay between $12,000 and $28,000. If you are not comfortable with how huge the amount is, you could use your resourcefulness. It is possible to ask your lender to cut its home loan costs. It would help if you would be aware of such options. Here are two ways you could push your loan provider to do so. It would be alright if you would check every fee that comes as part of your closing costs. You could actually challenge the inclusion of some if not most of those. Those fees could be fixed or variable. Fixed costs cover services rendered by third parties (like attorney, appraisal, and title fees). 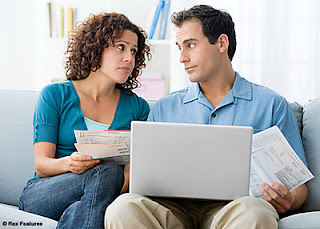 Variable fees usually include credit check and application fees. The good thing about such charges is that those could be possibly lowered or even waived. Get into negotiations with your loan provider. Tell the representatives of the many other alternative options you could take. You could be surprised at how much lenders could be willing to let go just to sign you up. Home sellers could easily agree that it is very difficult to actually sell a house. Sellers may become already desperate to dispose their properties. Some may voluntarily offer to shoulder the home loan costs just to entice potential buyers. In several cases, you may have to push them to do so. Remind your home seller that shouldering the home loan costs could be an irresistible incentive that would surely convince you to make the purchase immediately. Always ask the seller to include closing costs as part of the home sale. You could be surprised at how sellers could end up being flexible. If these two ideas do not work, get back to negotiations with your lender. If it is still not willing to lower or waive the home loan costs, it might be the best time to scout the market for many other lenders that would be more than willing to do so. Do not worry because amid the intense competition in the home lending market, there surely would be loan providers that would be more desperate to accommodate you and agree to lower or eliminate those costs. This article is a little confusing. You write as if a depressed real estate market is a possibility rather than something that has been going on for the past decade or so. Also, I don't feel we can "make" sellers pay closing costs though we can request that in a sales contract. My clients who have faced relocation after divorce have never had any luck "making" a seller pay closing costs.